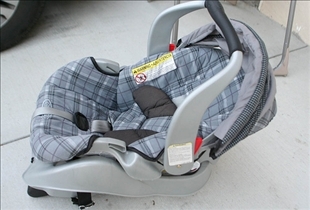 For people who are in need of a car seat, two brands are worth looking into: Safety 1st and Graco. Both have their strengths and weaknesses of course, some of which we will look into in this informative comparison article. 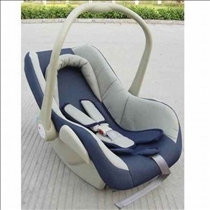 Safety 1st is a safe and convenient protective seat for infants and young children. One model, the Vantage High Back Booster, features dual roles as a harnessed booster that can support children from 22 to 40 pounds and a belt-positioning booster that can accommodate children from 40 to 100 pounds. This model can also be used in either an upright or reclined position, and it features 5 adjustable settings as well as a two-position headrest that provides ultimate comfort and safety. The Graco model is one of the best sellers in the car seat market, and it consistently outsells even higher priced models that offer more features. In fact, some Graco models have been recognized by notable organizations such as Consumer Reports and the NHTSA as some of the safest and most comfortable car seats on the market today. One model that has received plenty of acclaim in particular is the TurboBooster Car Seat, which comes in highback as well as backless models. The Safety 1st Vantage High Back Booster comes with a host of additional features such as removable cup holders, snack holders with covers, and even a storage pocket that you can use to hold toys and other accessories that you may need for long trips. The Graco TurboBooster on the other hand comes with numerous color options so you can choose the best one for your car's interior. The unit also comes with a cupholder that hides neatly away, adjustable armrests and a comfortable padded back. At least one user of the Safety 1st has complained about a possible risk to using this seat. This concern has to do with the looseness of the strapping mechanism, which may allow a child to come loose from the seat upon impact. There same problem was reported with two subsequent replacement models of the Safety 1st seat. Nevertheless, sales of the model remain vigorous enough to suggest that safety issues may be limited to certain production runs of the car seat. The Graco model comes in a highback model as well as a backless model as mentioned previously, with each having its relative advantages and disadvantages. The highback model is the better option from a safety standpoint obviously, while the backless model is much more portable and easier to transport. The Highback TurboBooster model in particular is easily converted into a backless model, which gives you the best of both worlds in terms of safety and convenience. Which car seat has better features? ice post ! I like your thoughts and I would like to place your post on my website.